Hector Mairal joined Marval, O’Farrell & Mairal in 1991 as a partner and member of the board of directors. An expert in administrative and business law, he has been involved in matters of high complexity and importance as adviser to national and international companies, dealing with company mergers, purchases and sales of banks and businesses, property development projects, formation of temporary business alliances, business contracts, loans and financing. He has advised in legal transactions in the field of hydrocarbons, including project financings, transfer of concessions, licences and privatisations. As an administrative law specialist he has advised in numerous public bids and government contracts, and in litigation arising from them. 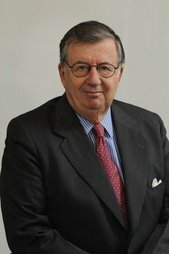 He has been professor of administrative law at the University of Buenos Aires since 1965 and was head professor between 1978 and 2008. He has participated as a speaker in many seminars and conferences both in Argentina and abroad. He is the author of various books, as well as many articles for specialist magazines published nationally and internationally. He is currently a member of the Argentine Association of Administrative Law, the Argentine Association of Comparative Law, the Buenos Aires Bar Association and the International Bar Association.